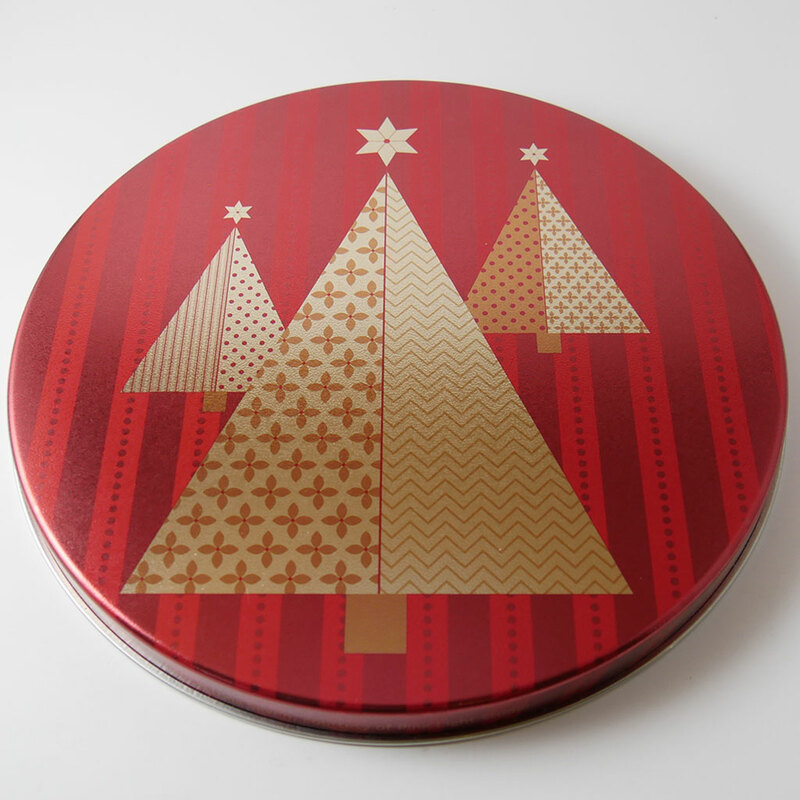 This Holiday Tin is suitable for warm climate shipping. 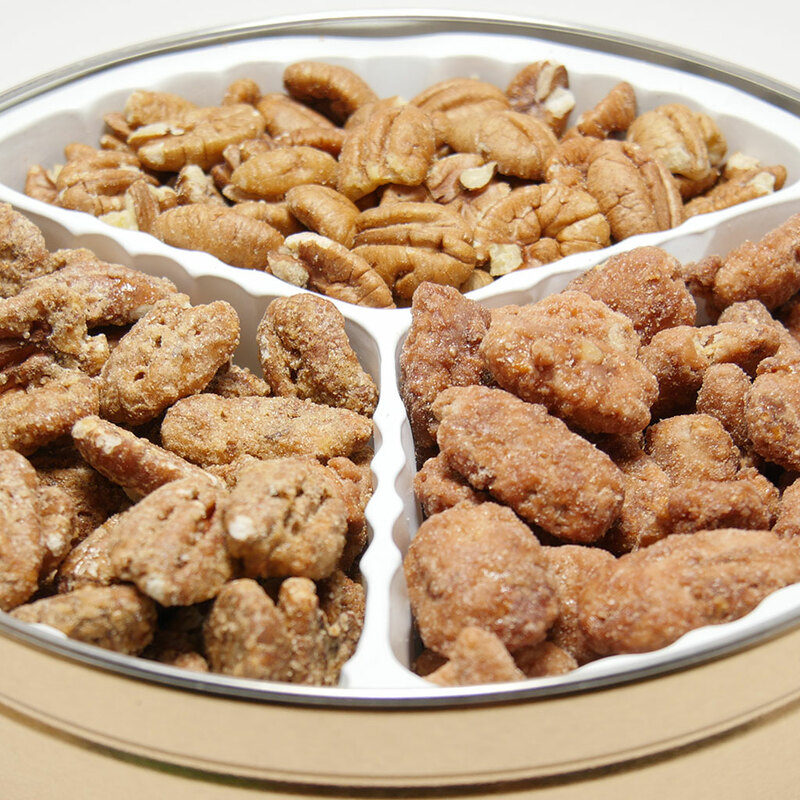 Pictured is our delicious Honey Cinnamon, Roasted & Praline Crunch Pecan assortment! 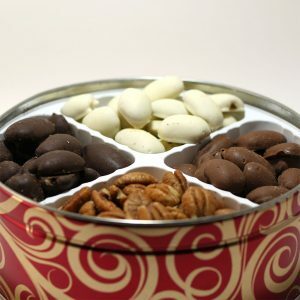 This tin with product is approximately a 32 oz tin!